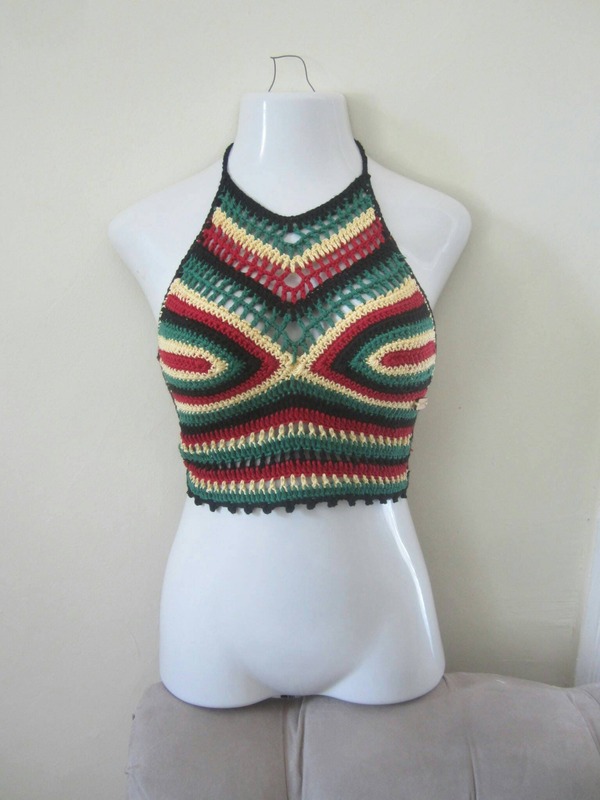 This is a crochet festival fringe halter top made in rasta colors of red, green black and yellow, perfect for festival, carnivals, summer days, resort wear, beach wear, parties and craft shows. 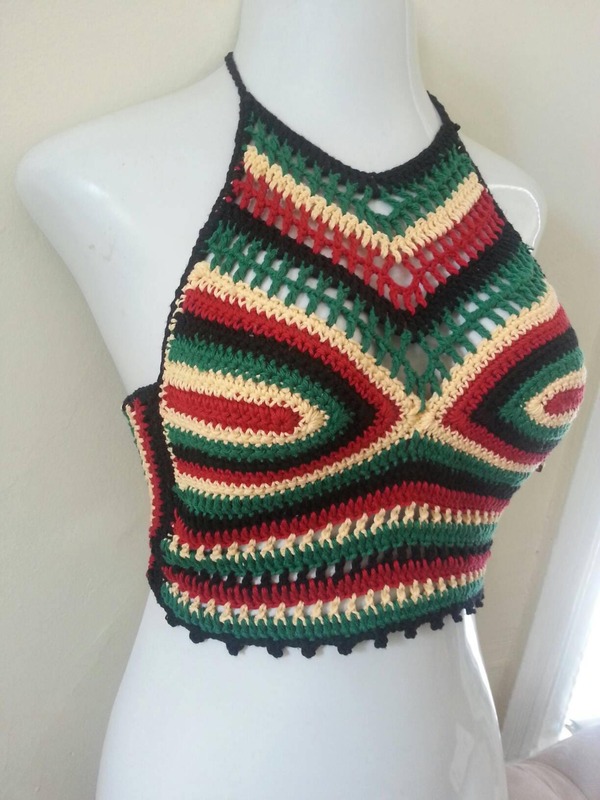 Crocheted using cotton and acrylic yarn in vibrant colors of red, black, green and yellow you are definitely going to need this top to sport some Island vibes. 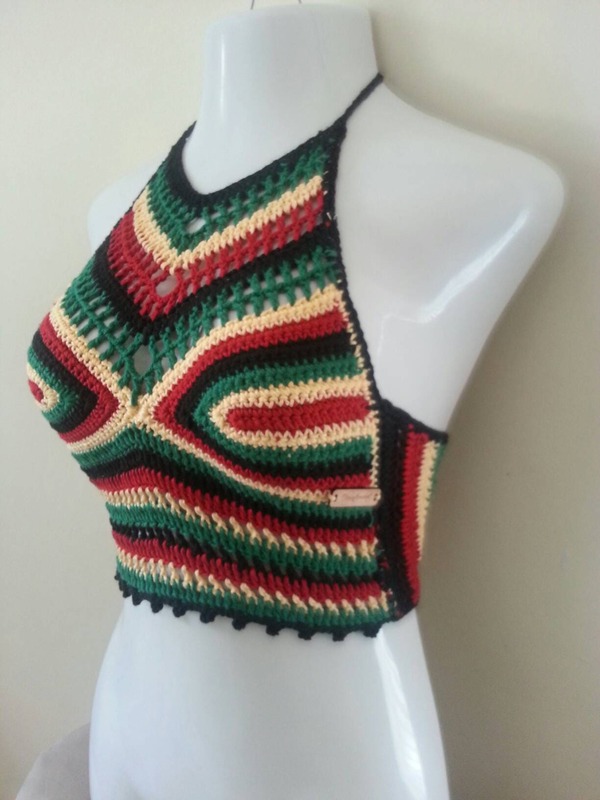 Top is designed so that you can wear a strapless bra with it.